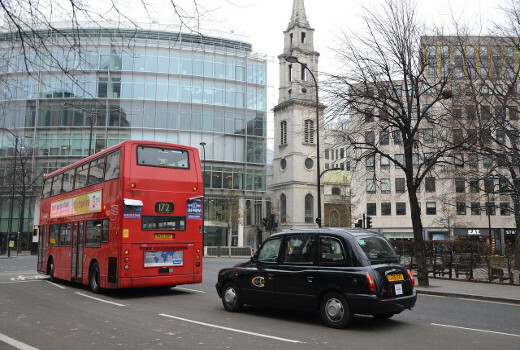 The iconic city of London is one of the most popular tourist destinations in the world. It’s also an area that has more to offer than many other historical areas. This is a city that’s been growing since the first century AD, and still has remnants of its origins in the form or historic architecture and artifacts. Regardless of where you travel in London, there’s something worth experiencing. It’s because of this that so many people make a point of regularly travelling to the city. There’s so much to see and do that it can be difficult to know where to start. Many people defer to travel agencies or ready-made tours. These generally cover the better-known parts of the city, but often leave out the more domestic side of it, the side that isn’t necessarily on the schedule for the more commercialized tour itineraries. The best way to experience everything in London is to carefully research all the areas that you might be interested in, and then to design your own tour of the city. This may seem daunting, especially if you’re unfamiliar with the city’s public transportation system. Trying to plan out a way to experience everything using existing routes may not be possible. This is why many travelers have come to rely on private taxi services. These aren’t the usual taxis that the public battles for on busy London streets. A private taxi can be booked in advance, and provide a myriad of different services. It’s a guaranteed method of transportation that can be customized to meet your needs. It also takes a huge amount of stress out of every part of the planning process. No more trying to navigate public transportation systems, and trying to find foreign addresses. London has been a beacon of culture and history for centuries. Because of this, the city contains some of the most complete and beautiful museums anywhere in the world. They contain works of art spanning every medium and every era. For someone who loves the arts and history, these are a “must-see” for any tour. Make sure that you do your research and try to fit as many museums into your tour, as comfortably, as possible. Plan around their proximity, and don’t be afraid to take advice from your private taxi service. The historical side of London is one of the most popular reasons for visiting the city. There are sites, monuments, castles, and buildings that can be traced back to the original rise of the city in the middle ages. Take the time to enjoy the renowned London Bridge, or Windsor Castle. This is one of the few places where one can experience the mystery of Stonehenge and the architecture of the cathedrals in one trip. A private taxi tour can help you to plan ahead, and to get straight to each of your destinations. This is one of the most fashionable cities in the world. London is at the center of many trends and is home to famous designers. Look into the best streets for famous brands, and high end shops.